The Oregon House last week passed the extension of the property tax exemption (HB 2760) by a vote of 55-1. The bill now moves to the Oregon Senate where it was assigned to the Senate Finance and Revenue Committee. It has been scheduled for a hearing on Tuesday, June 20. It faces no opposition by any interest group and conversations with committee members have been positive. Work continues on extending the Residential Energy Tax Credit (RETC). 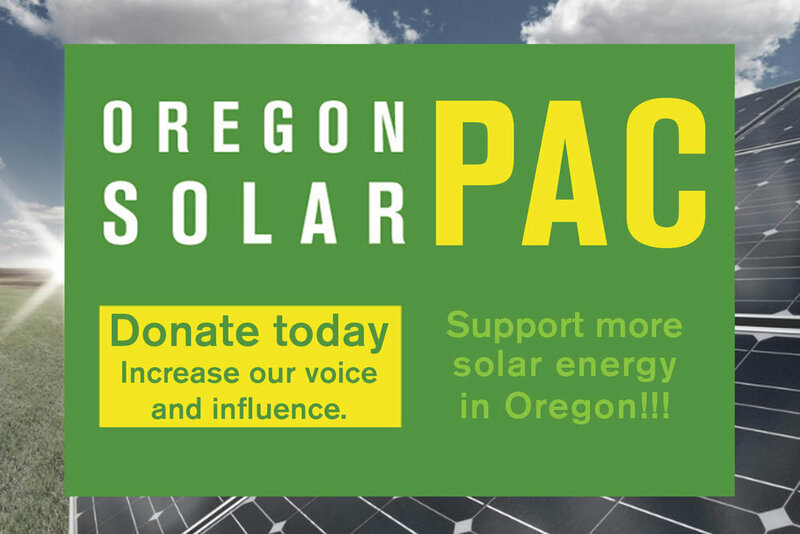 The most significant development over the past week was the creation of a work group to determine how to move the incentive program out of the Oregon Department of Energy. While ODOE is expected to continue to exist, the general consensus is to move all incentive programs out of the agency and put them in other agencies to give ODOE time to rebuild. That work group is ongoing and we should know more next week as to what a tax credit extension looks like and where it might live. Lastly, the PUC Commissioners had a special public meeting this week to discuss the community solar draft rules. Because there are 3 commissioners, they cannot talk to each other about specific issues in front of them without violating Oregon public meeting law. This was the first opportunity for each of them to hear what the other commissioners were thinking and for the public to listen in. Overall, it was a positive discussion. It is likely that they will hold another similar meeting before June 27 when they are scheduled to meet and adopt rules. We'll update folks if another conversation happens. The next few weeks are going to be busy for us! Stay tuned!